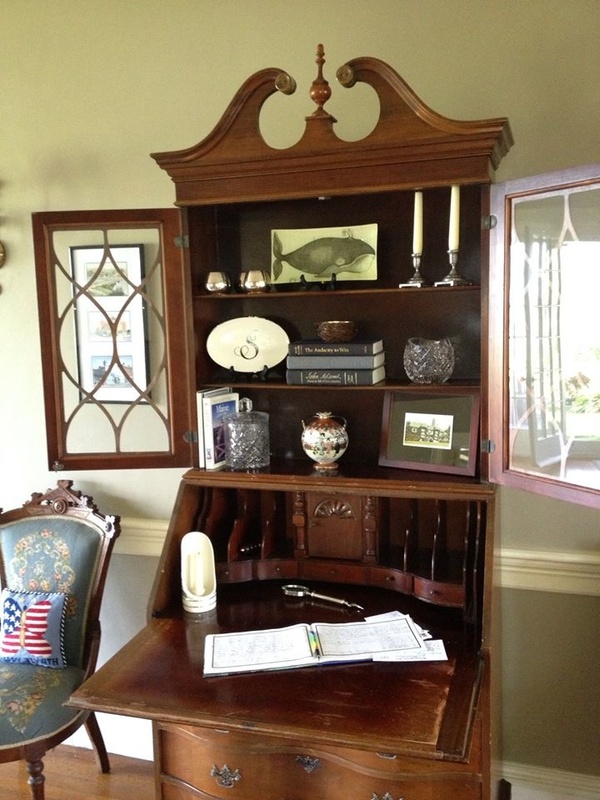 LuckyStars: Redecorating with your own things!!! Redecorating with your own things!!! New wooden whale we found in a Camden antique shop has found his perch about the front door and the many books on the round table have been reorganized. 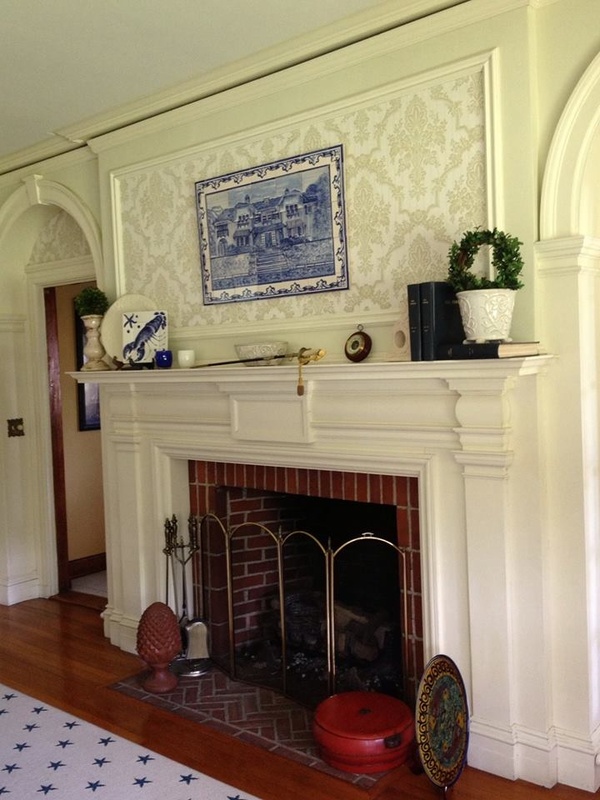 The moving of books and plates from the living room take on a whole new dimension when arranged in the foyer! 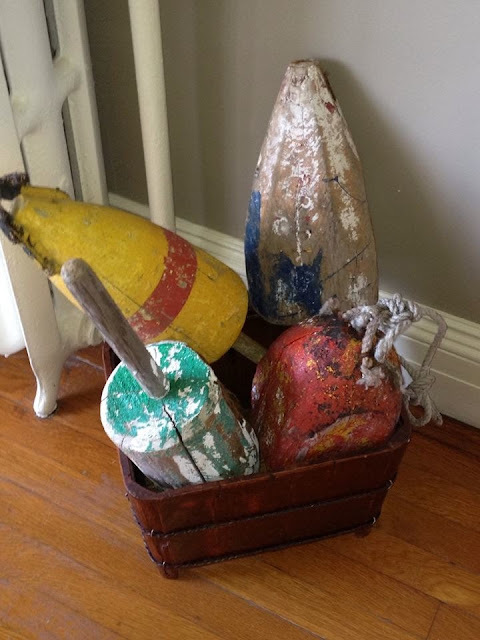 We went on a great antiquing expedition to pick up some of these buoys! They look great in the Chinese bucket but I am looking for a mussel basket and that would really display them nicely! 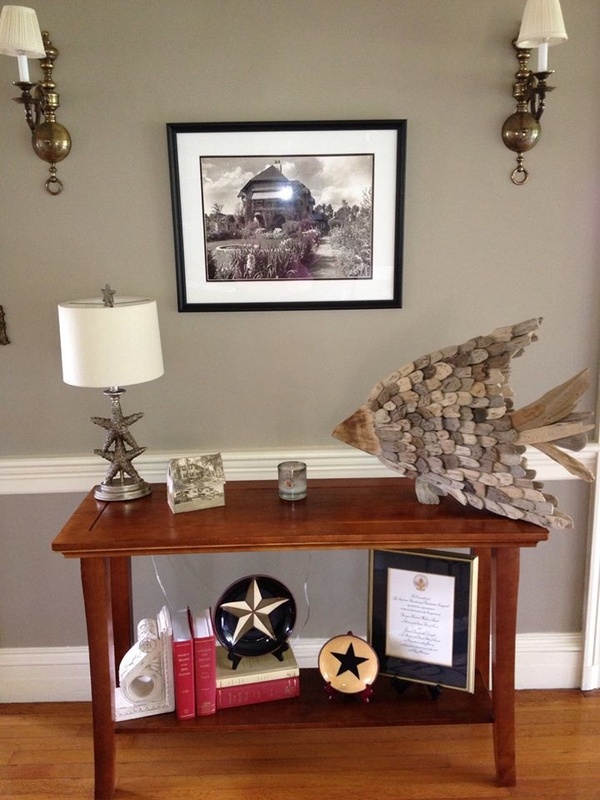 The dining room mantle got a new look- but the USN sword remains in place! 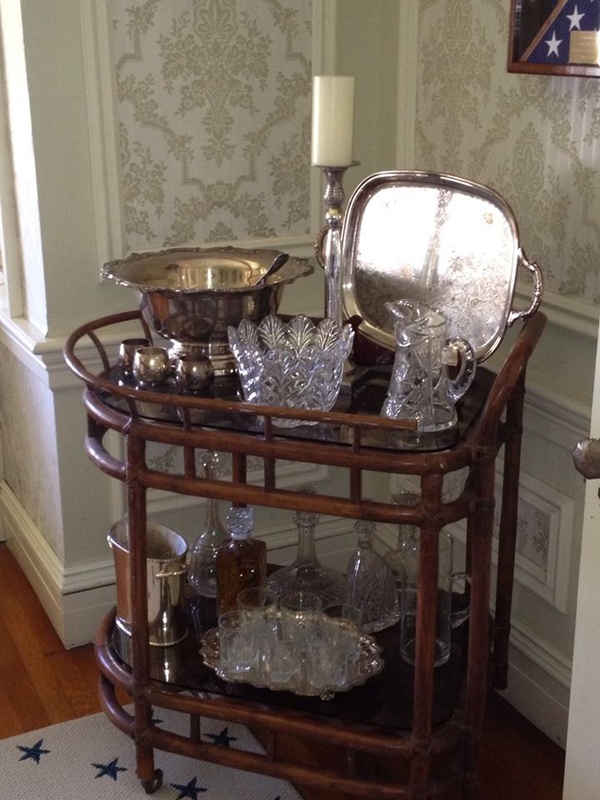 Yes, I should be polishing silver but the new arrangement looks great! 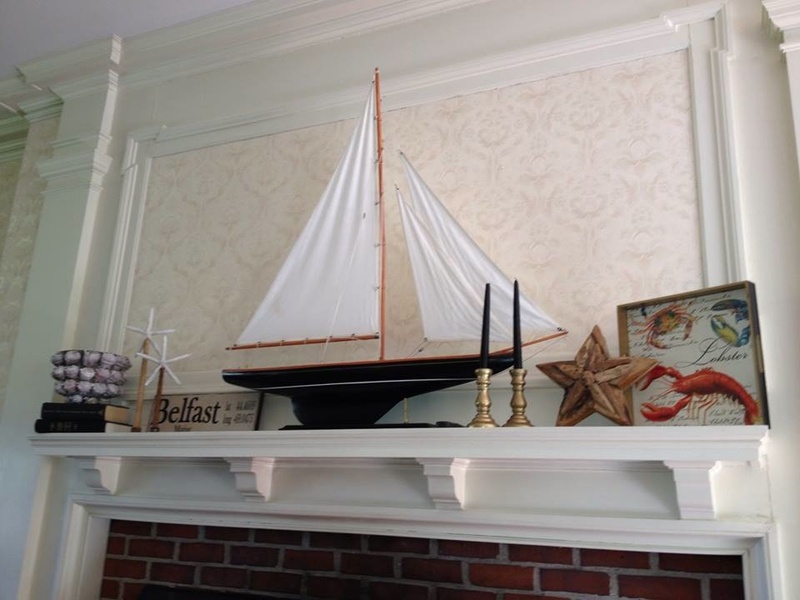 I asked Nan to "beach up" the living room mantle and she did a great job! Now I have to add a few Fall accessories since the weather is getting colder!!! 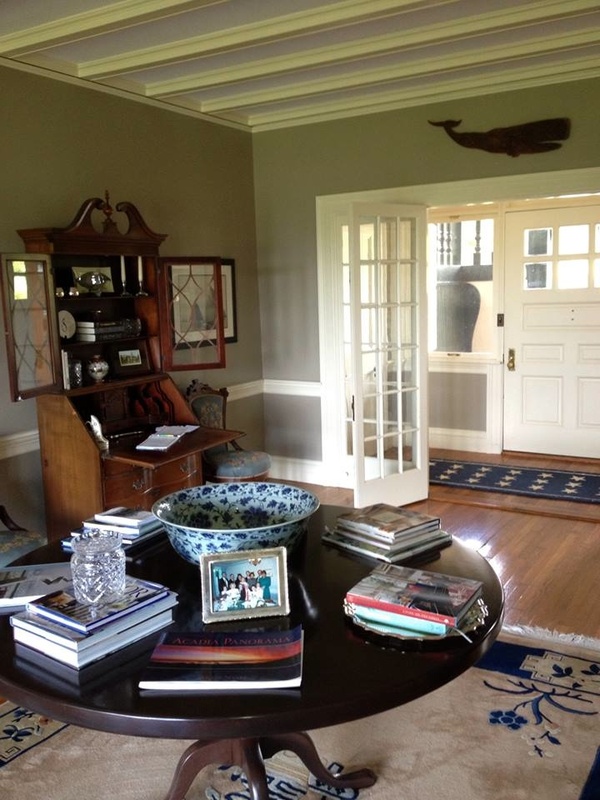 I love the desk with the doors open and moving the John Derian whale plate to a stand shows it off beautifully! We had so much fun and all this work got done too!!! Love it when they come to visit! Your house is looking great. So sorry about the loss of your contractor.